The issues of conflict management treated in this volume are relatively recent consequences of the scientific and technological revolution, and are in significant respects unprecedented in mans history: food distribution, population, ocean resources, air and water pollution. Such new global problems cannot be adequately solved except by international effort—effort that requires adjustments in the present international system.What adjustments arc practicable, and at least minimally necessary, are assessed by seventeen lawyers and specialists in international affairs. 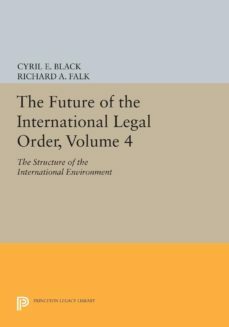 They approach the subject from two perspectives: the international legal aspects of man in his environment; and the institutions, agencies, and movements that must be further adapted to the rapidly changing needs of mankind.Contributors: Harold Lasswell, Mary Ellen Caldwell, Dennis Livingston, Howard J. and Rita F. Taubenfeld, L.F.E. Goldie. Leon Gordenker, John Carey, Hans Baade, Gidon Gotlieb, Richard B. Lillich, Joseph Nye, Donald McNemar, James Patrick Sewell, Gerald F. Sumida, Harold and Margaret Sprout.Originally published in 1972.The Princeton Legacy Library uses the latest print-on-demand technology to again make available previously out-of-print books from the distinguished backlist of Princeton University Press. These paperback editions preserve the original texts of these important books while presenting them in durable paperback editions. The goal of the Princeton Legacy Library is to vastly increase access to the rich scholarly heritage found in the thousands of books published by Princeton University Press since its founding in 1905.